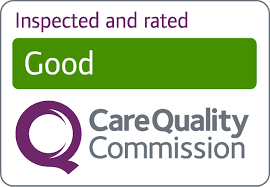 We are thrilled to have received a ‘Good’ rating from our recent Care Quality Commission (CQC) Inspection. Inspectors visited Watermoor House, in Cirencester, in November and were impressed with the ‘effective and appropriate systems, processes and practices which ensured the home ran smoothly’. Meanwhile, the staff were described as ‘kind, caring and compassionate’ and the inspector concluded that ‘people were treated equally and their individual preferences and wishes were respected’.